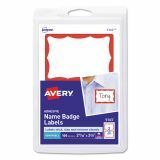 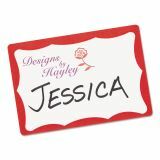 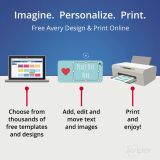 Avery Printable Self-Adhesive Name Badges, 2 1/3 x 3 3/8, Red Border, 100/Pack - Name badges are ideal for conferences, seminars, meetings or special events. 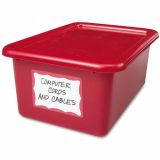 Write on or run through a laser or inkjet printer. 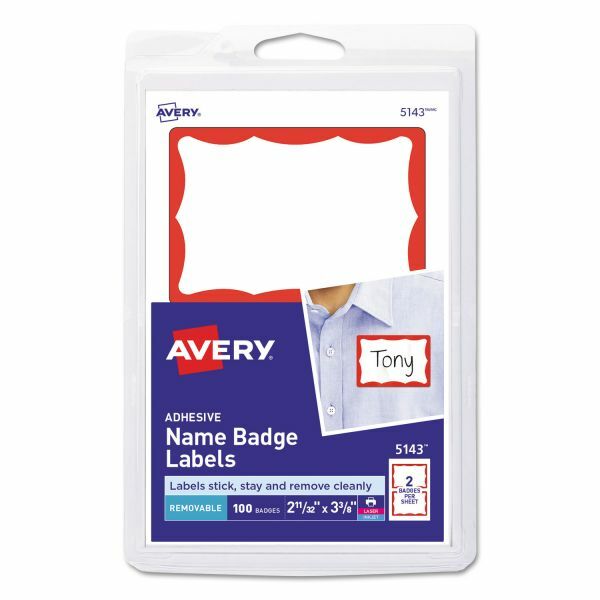 Self-adhesive badges adhere firmly and remove easily. 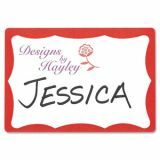 Badge labels are designed for most fabrics except vinyl, leather, suede, silk, velvet and corduroy. 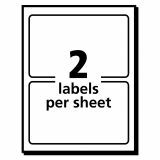 Each 4 x 6" sheet includes two 3.6 mil thick badges with removable adhesive. 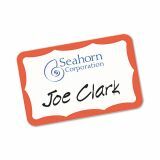 Each badge has a colored border."